It’s the weekend. (OK, it was the weekend, but someone might have missed these fun ideas, so let’s make it a three-day weekend.) I don’t know about you, but I’m glad to bid this week adieu. I had a nasty visitor in the form of a virus infiltrate my main computer. Rotten so-and-so. But, for now, it’s time to think about all things fun and weekendy. And that usually includes festive food and drink. 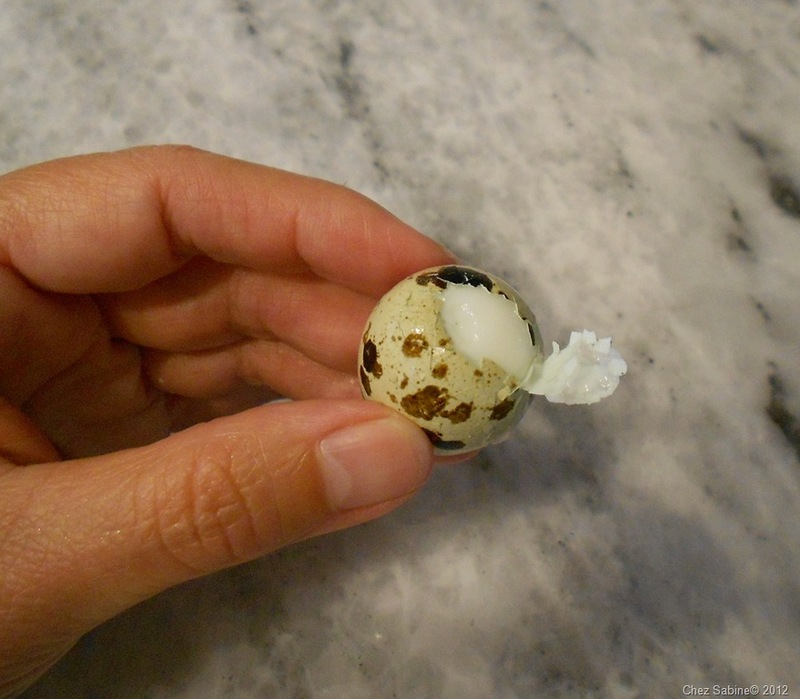 I decided that I needed a whimsical food to play with to take my mind off of malware and such, and quail eggs fit the bill perfectly. They’re almost too precious for words. Don’t you think? Just look how adorable they are. All speckly and petite. In Atlanta, I had no trouble finding these. 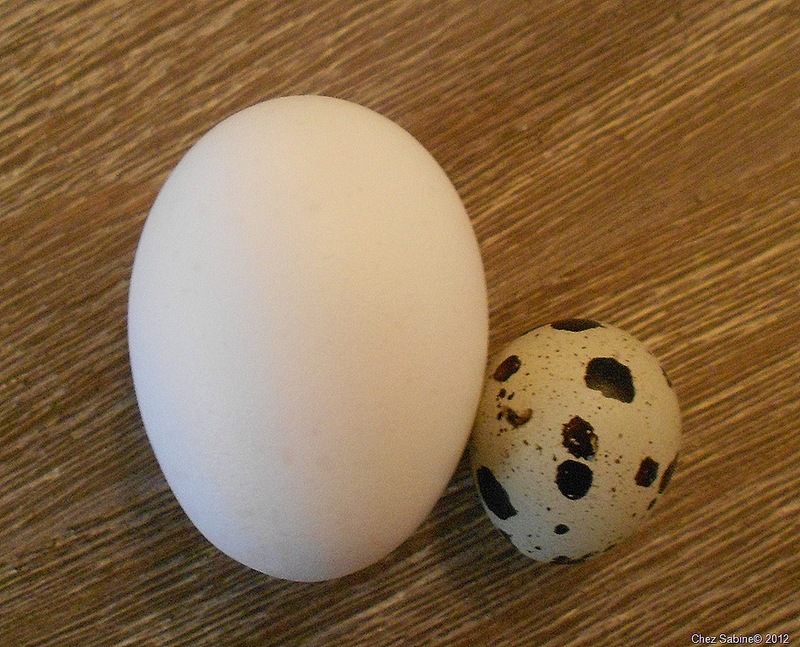 The larger farmers markets stock quail eggs on a regular basis. In Southern California, I had to really hunt. If you have trouble finding them, check some of the Latin markets or, if you’re lucky enough to know someone who works in a restaurant, maybe they can order some for you. And, of course, they’re available online. You’ll pay a hefty price if you order them. I’ve paid anywhere from just under $2 to a little over $4 for a package of 10 eggs. Online, well, throw in your first born. 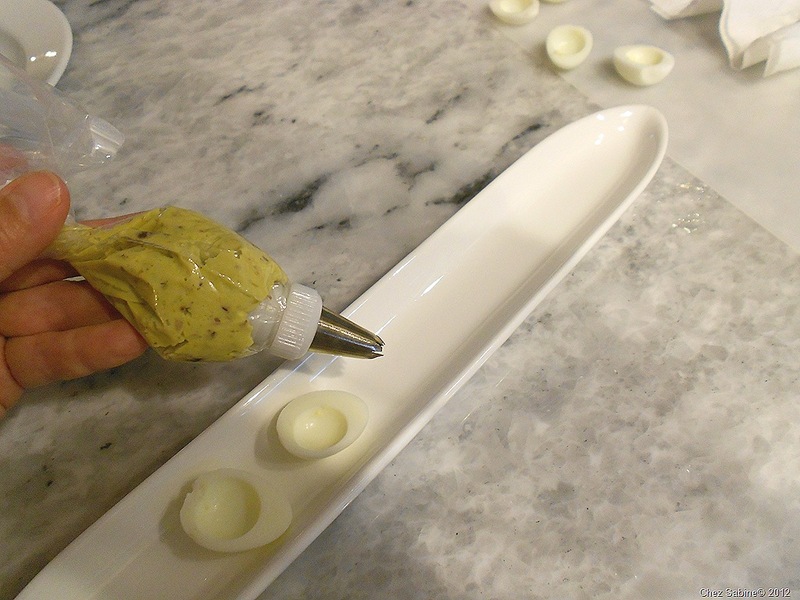 You can prepare these Lilliputian eggs just as you would hen eggs, and they shine at cocktail parties or when you just want to put a smile on someone’s face. They’re about the size of a black olive, so careful cooking is a must. 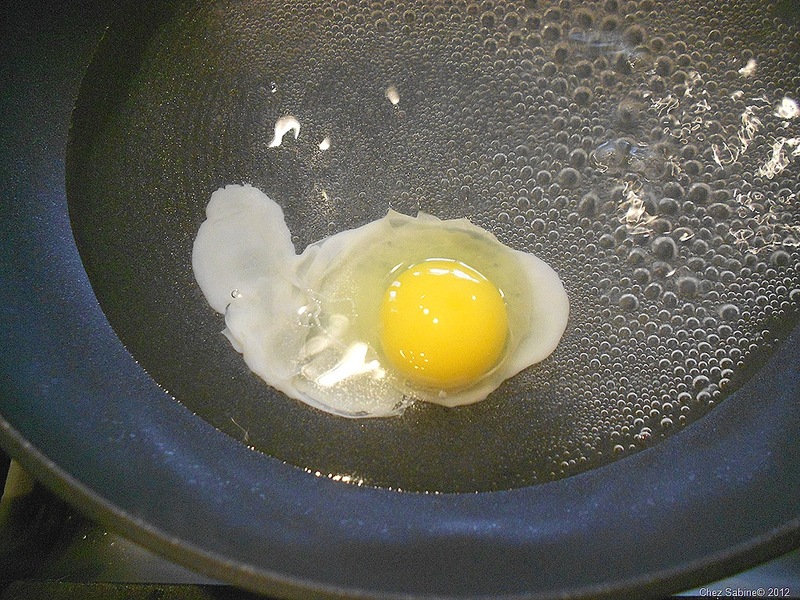 And while each tiny egg contains only 14 calories and 1 fat gram, it packs a whopping 76 milligrams of cholesterol. But we’re talking le weekend here, so forget cholesterol. And it’s not as if you’re going to gobble down a dozen in one sitting. Although, you might when you see what I have in store for you. I’ll show you how to cook them several ways and how I used them. Once you get the hang of cooking them, you’ll come up with plenty of ideas of your own. 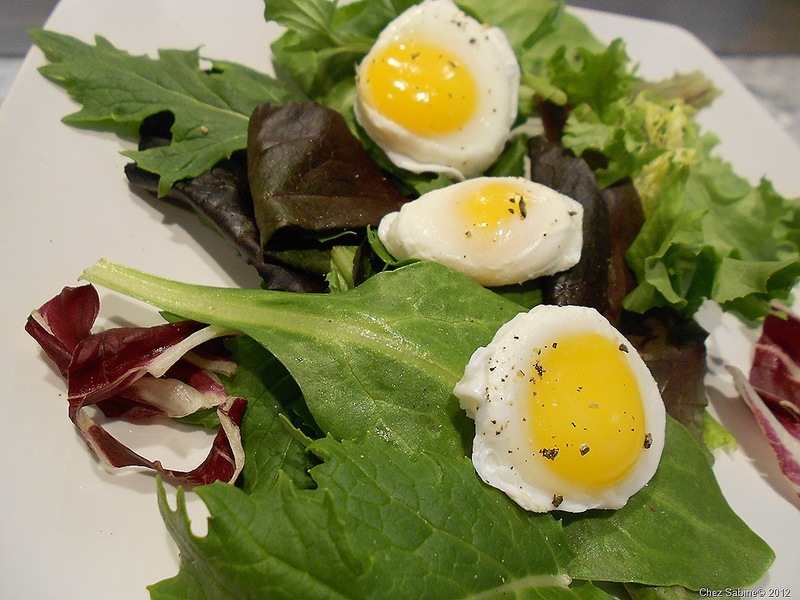 And then you’ll see how simple it is to poach quail eggs. I think they’re easier than hen eggs because there’s not as much egg white to get away from you. 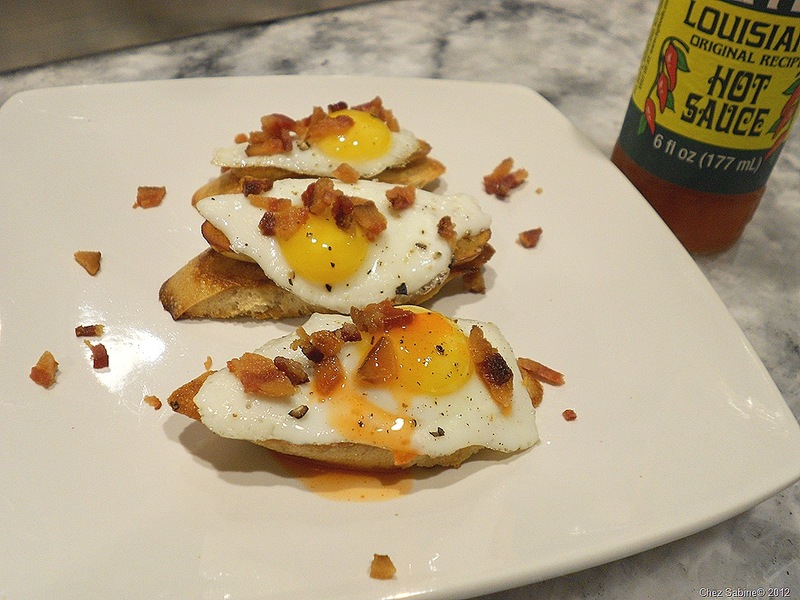 How about a breakfast crostini in two bites for brunch? 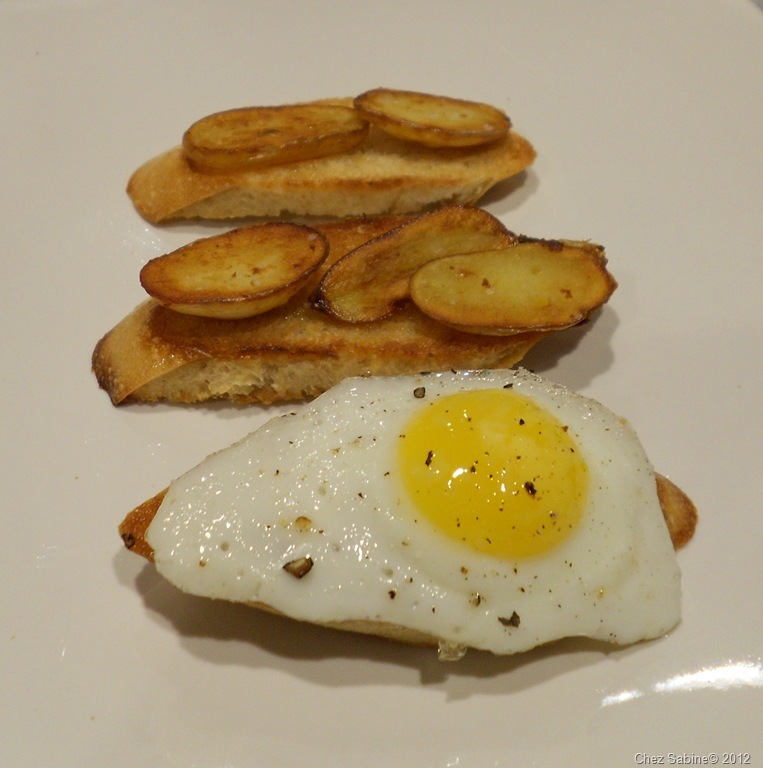 Think about this: crisply sautéed mini baguette slices layered with crusty fingerling potatoes, an over-easy fried quail egg garnished with chopped bacon. Oh, and a splash of hot sauce for those who dare. 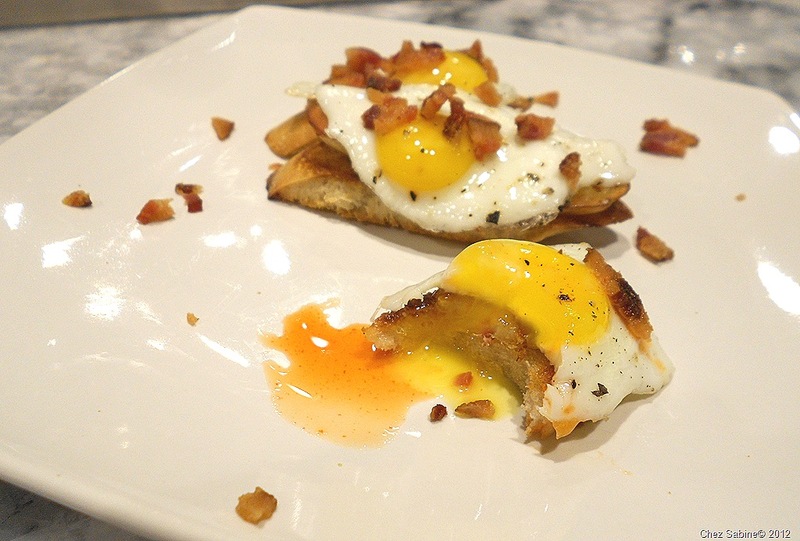 Bite into these and the yolk breaks and coats the bread and potatoes and turns into a breakfastpalooza in your mouth. Crazy good. 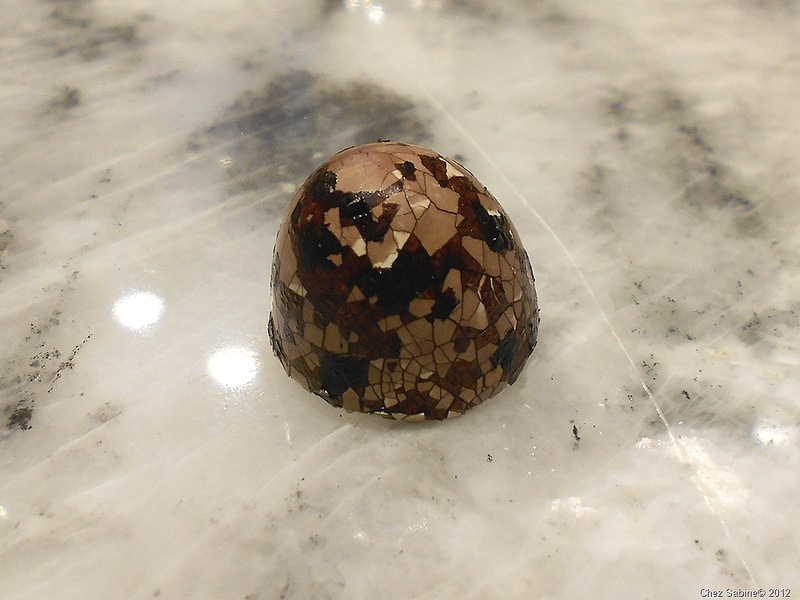 Are you familiar with Chinese tea eggs? 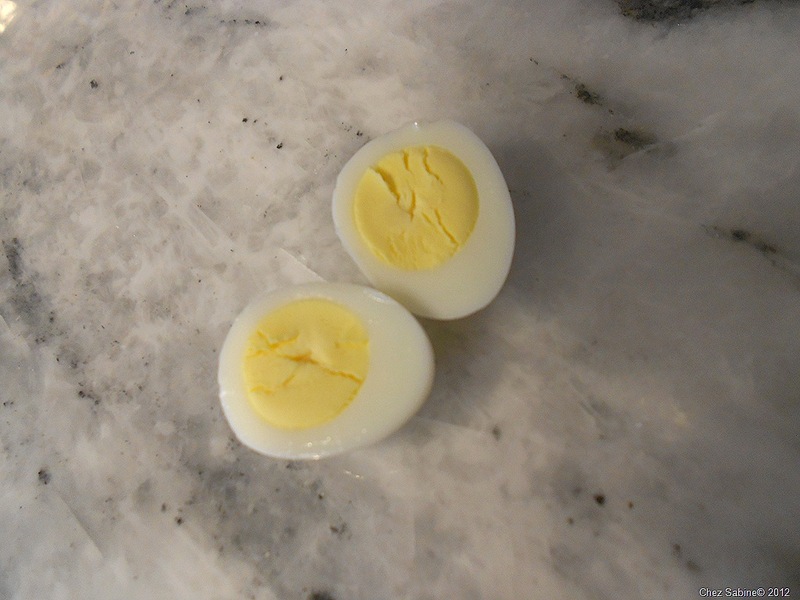 Take hard cooked eggs, then carefully crack the shells, and steep them in a seasoned hot tea mixture. The shell takes on an exotic marbling that transfers onto the egg white, creating a beautiful and interesting tasting snack. 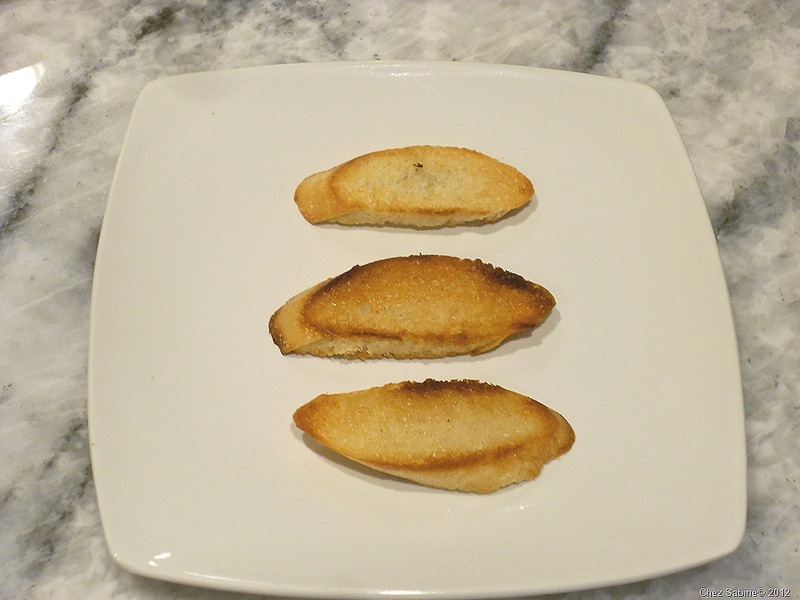 I came up with my take that you can prepare in just a couple of hours, instead of letting them steep overnight. Very easy. I left tradition totally in the dust and used floral Passion tea and spiked it with whole cloves. 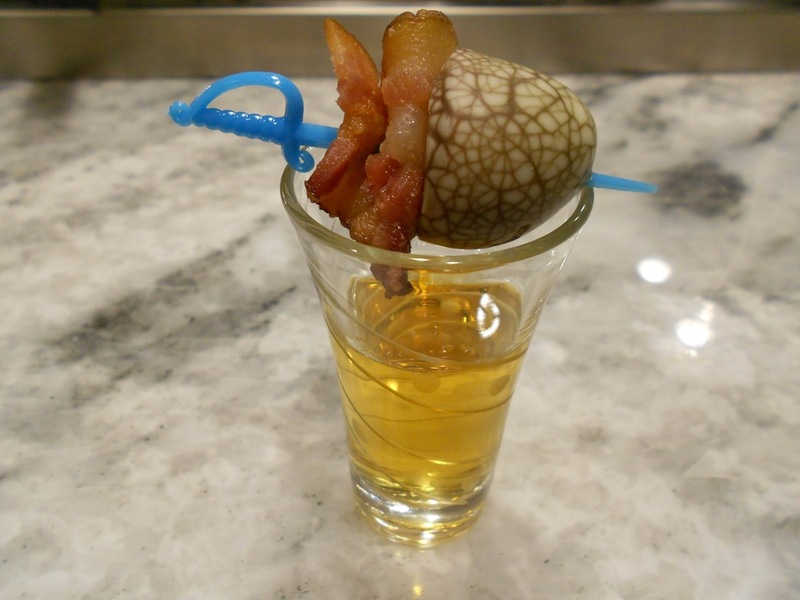 Sure, you can pop these as snacks, but I had fun turning them into bacon and eggs shooters for my bacon and chipotle-infused bourbon. Hey, it’s the weekend. You’re allowed. And I’ve got to tell you that the subtle tea and clove flavors of the egg blend beautifully with the salty sweet bacon. 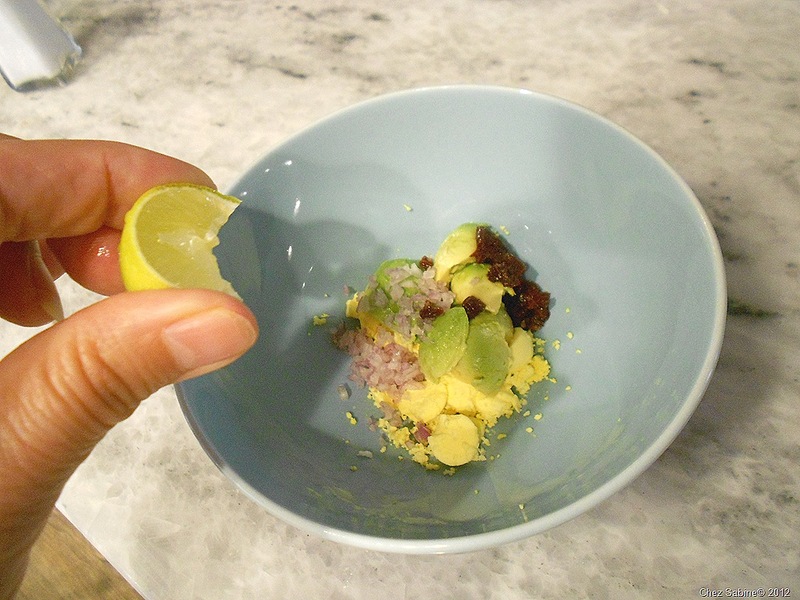 And, if you want a clever and easy appetizer, just put your hard cooked quail eggs in a dish, set out some fun salts and let your guests dip away. I used some rose salt that I bought a few years ago at an outdoor market in France. I love to buy flavored salts because they last forever, literally. Salt won’t go bad. So, don’t ever be afraid to buy a wide variety. 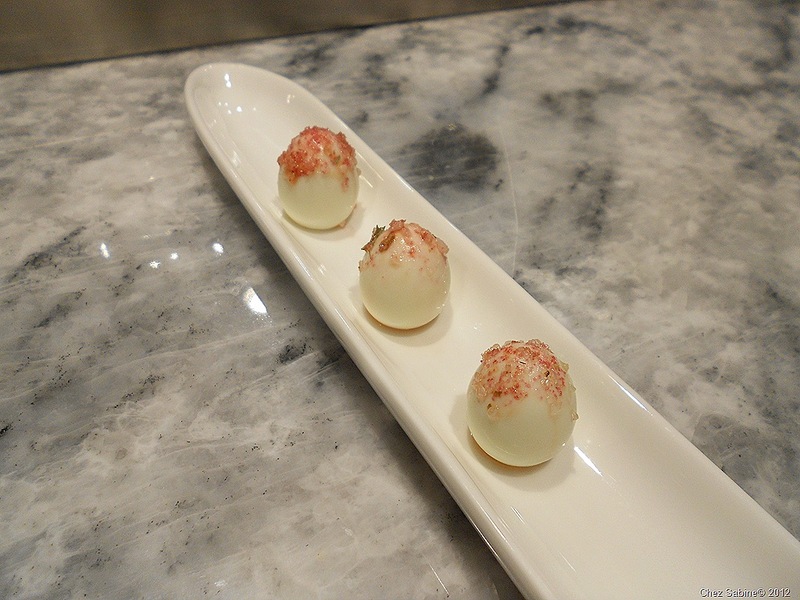 Look at these pretty rose-scented quail eggs. And then read on to learn how to make all of these little dishes yourself. 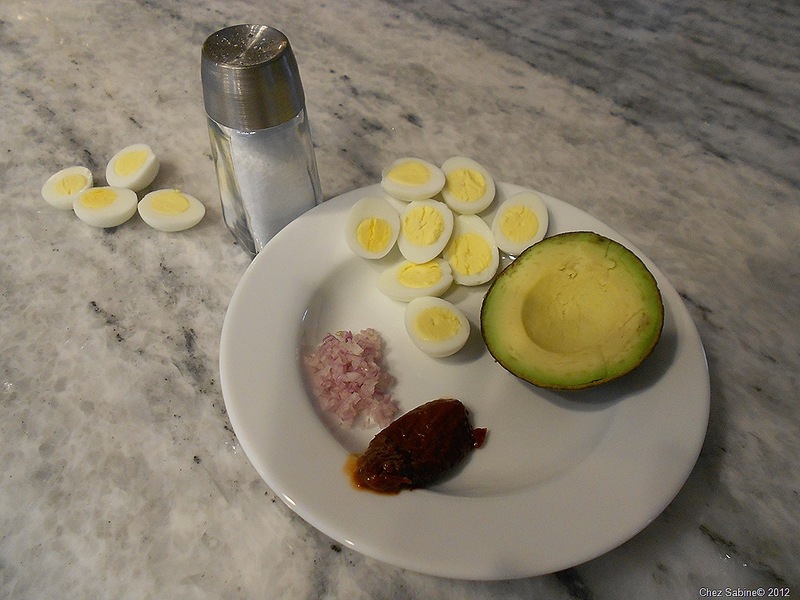 Deviled Quail Eggs with Avocado, Shallots and Chipotle. 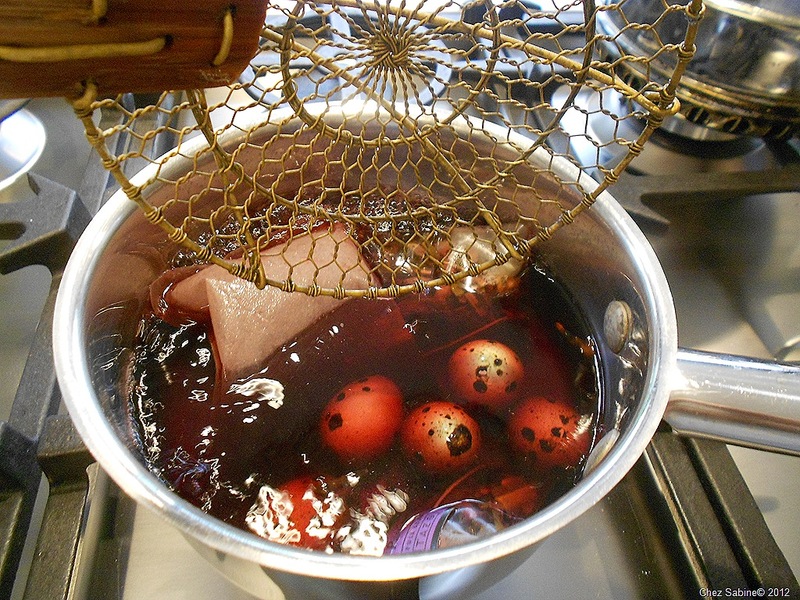 To make perfect hard cooked quail eggs, fill a medium sized sauce pan about half-way with water and bring it to a boil. 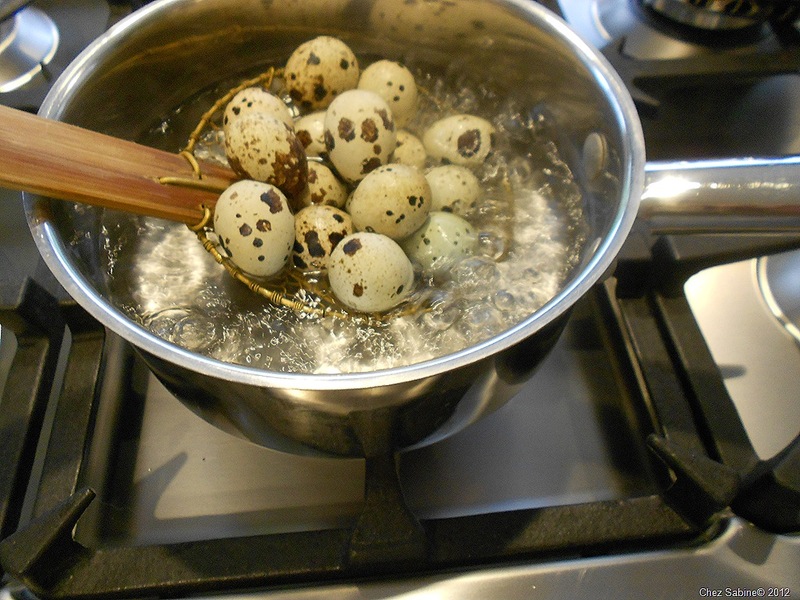 Gently add the quail eggs to the water. Turn the heat down so that the eggs are just simmering, not rapidly boiling away so that they don’t bang into one another and break. Set a timer and cook them for only four minutes. And as they’re cooking, get an ice bath ready for them. 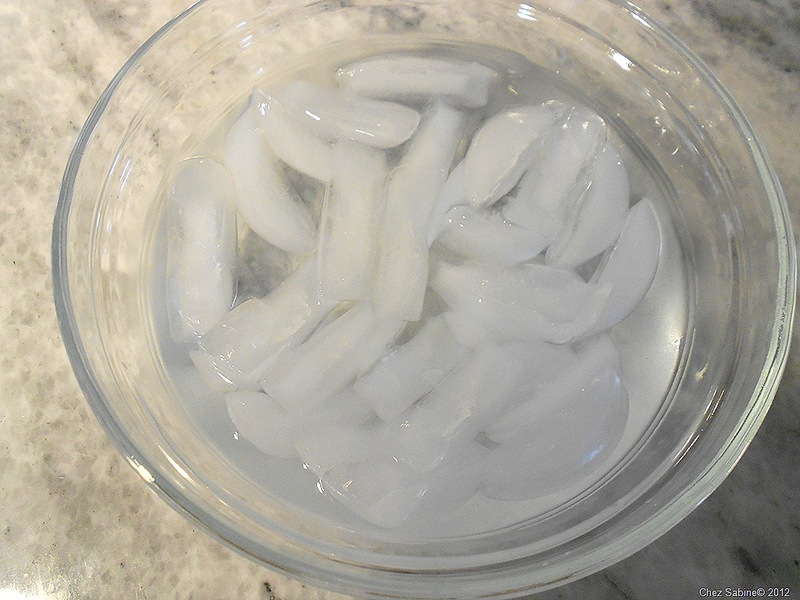 As soon as the eggs are done, add them to the ice water and let them cool completely before peeling. Once the eggs are cold (I usually wait until the ice has melted) then you can peel them pretty easily as long as you follow a few tips. Roll them to break the shell a bit as you would regular eggs, then pinch the fat end where there’s usually a little air bubble. That gets you through the shell where you can start to peel. 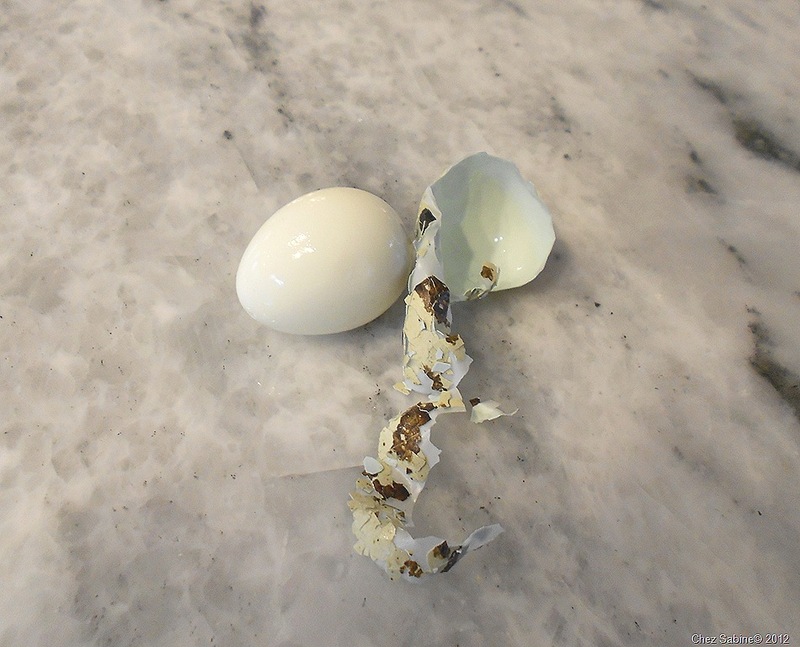 I usually peel eggs under running water and that helps to wash away small pieces of shell that might cut into the egg white. Also, don’t peel the eggs with your fingernails, rather, use the side of your thumb. And, as with most eggs, when you start, it’s important to make sure you grab some of that membrane because if you don’t, then you’ll want to shoot yourself. See? You can peel a lot of them in almost one piece. 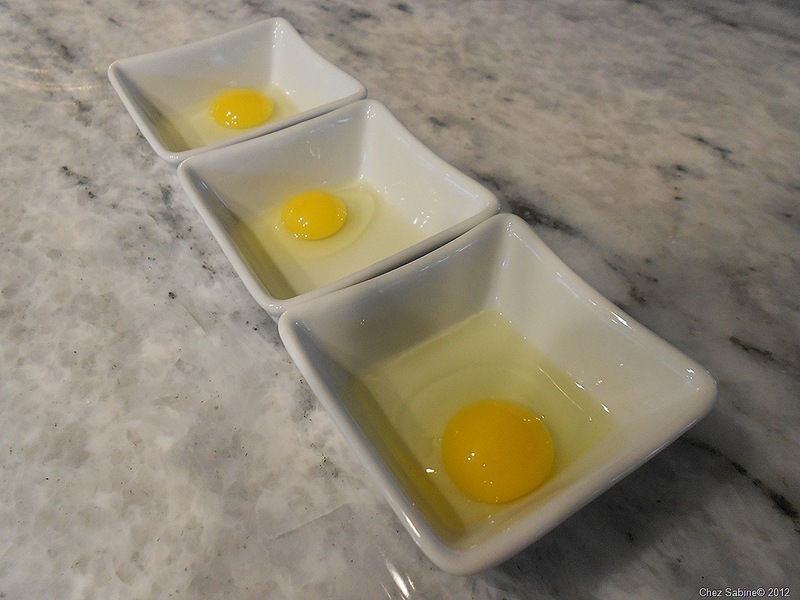 Follow my directions, and you’ll have picture perfect hard cooked eggs just like these. I don’t want to brag, but they are pretty, aren’t they? 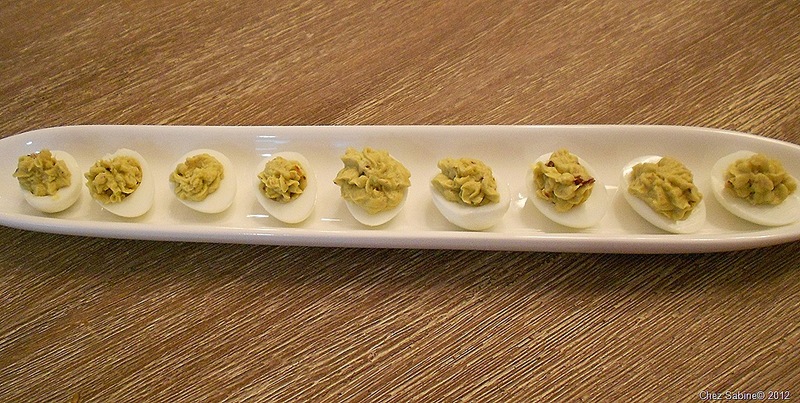 You can flavor your deviled quail eggs any way you like, but these use only three ingredients, not including the eggs and salt. 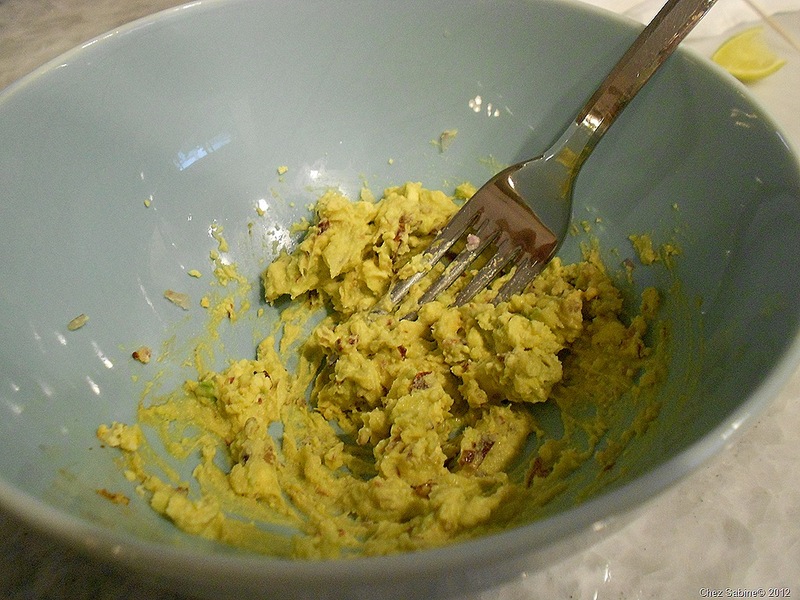 I used about a teaspoon minced shallot, 1/2 of a chipotle pepper, minced, and about 1/4 of a ripe avocado. 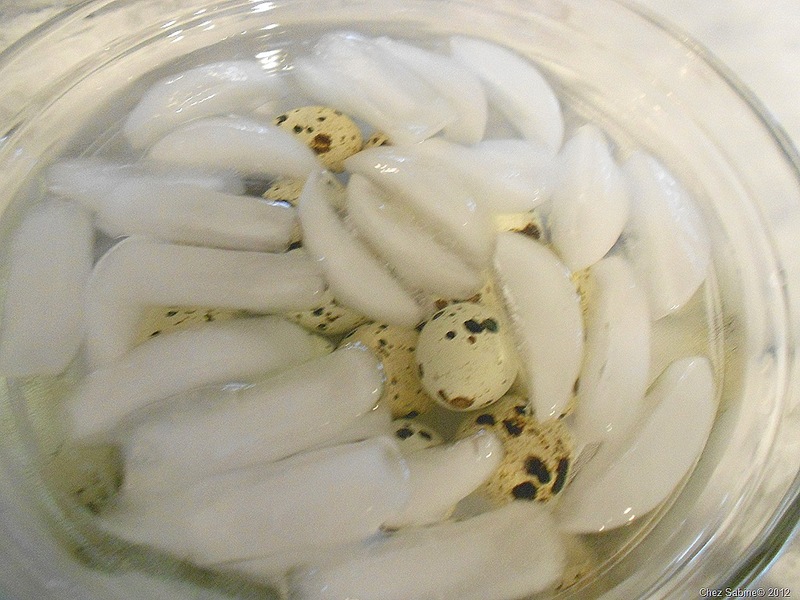 I made six quail eggs for a dozen deviled eggs. Gently scoop out the egg yolks and add the shallots, avocado and chipotle. I add a squeeze of lime to keep the avocado from turning dark. Mix until smooth. A fork is fine. When it’s the consistency you like, spoon the mixture into the egg whites, or use a piping bag with a small tip. If you have tips but no bags, or in my case, I had piping bags but they were much too large for this small amount of filling, here’s a handy tip. 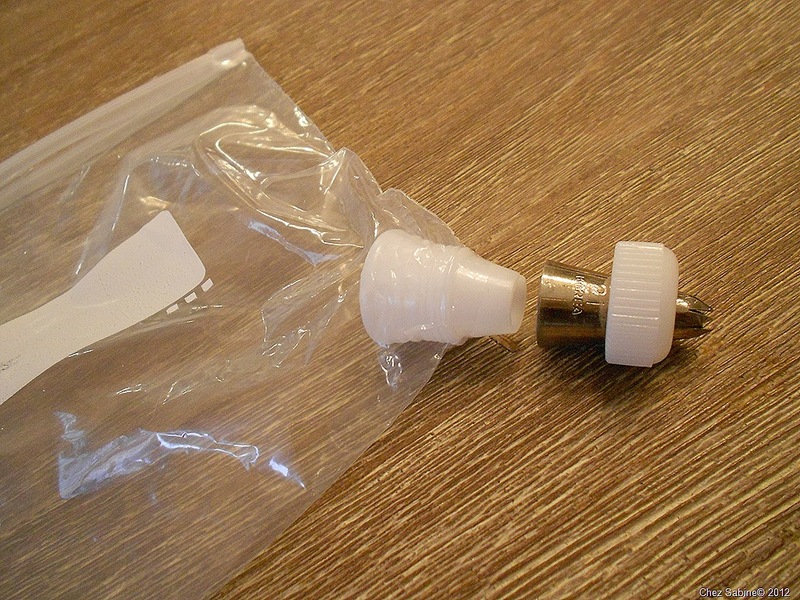 Get a quart plastic bag and make your own disposable piping bag that works perfectly for the quail egg filling. 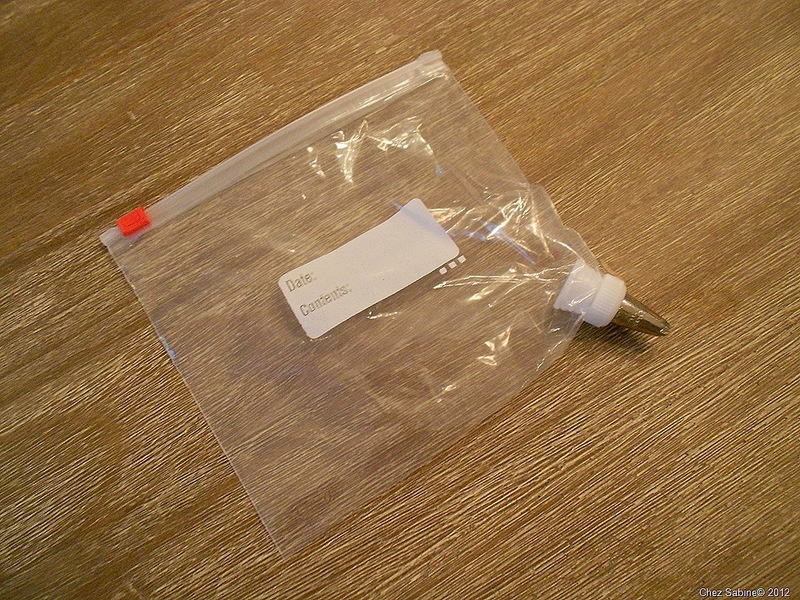 I snipped the corner and placed the coupling just as I would in a regular piping bag. It worked perfectly. And there you have your clever little deviled quail eggs without any mayo but loaded with plenty of flavor. 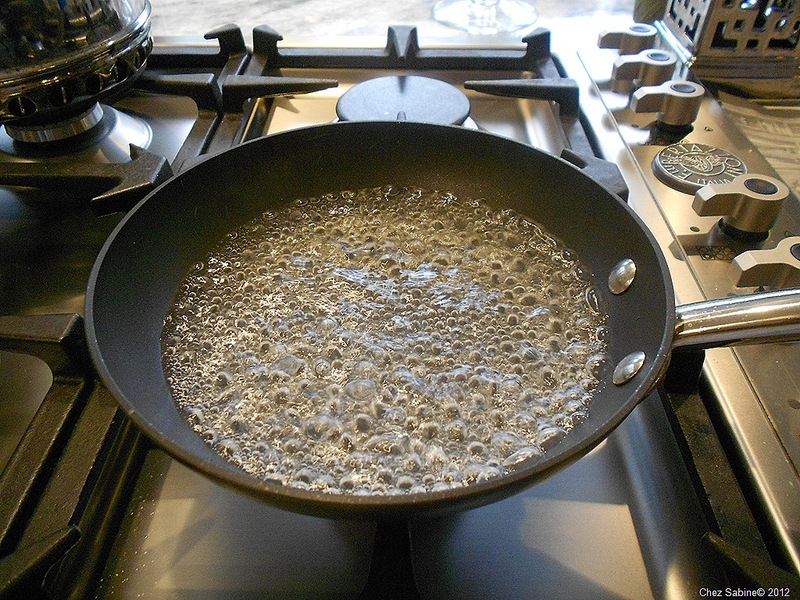 In a small shallow pan or skillet, bring about 2 inches of water to a boil. I like to crack my eggs into individual dishes, which makes it easy to slip them into the simmering water. 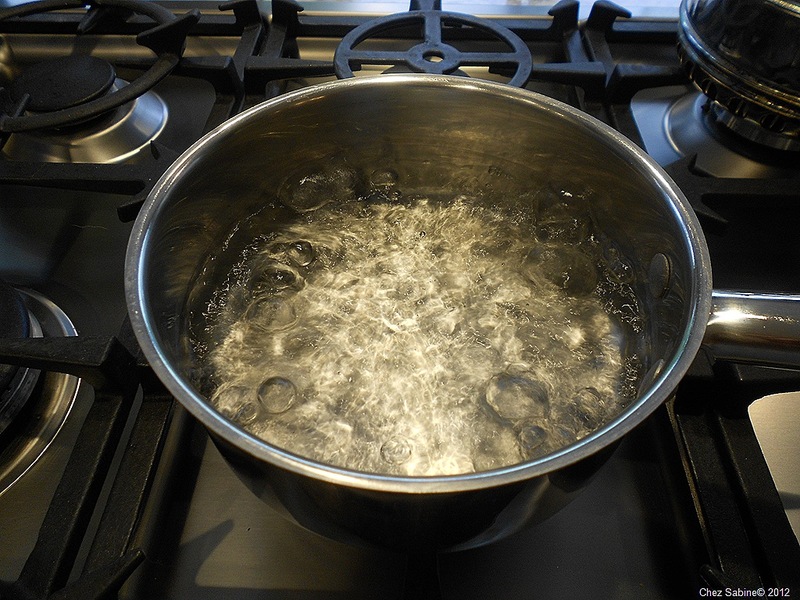 Before adding the eggs, lower the heat so that the water is simmering, no longer boiling. 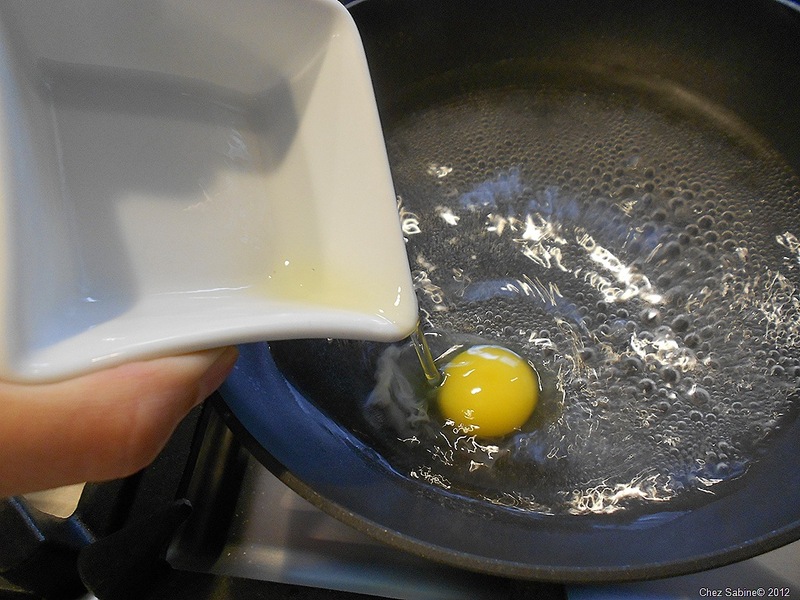 Then gently slide the eggs, one at a time, into the water. The eggs will cook in about a minute or so, depending on how soft you like your yolk. 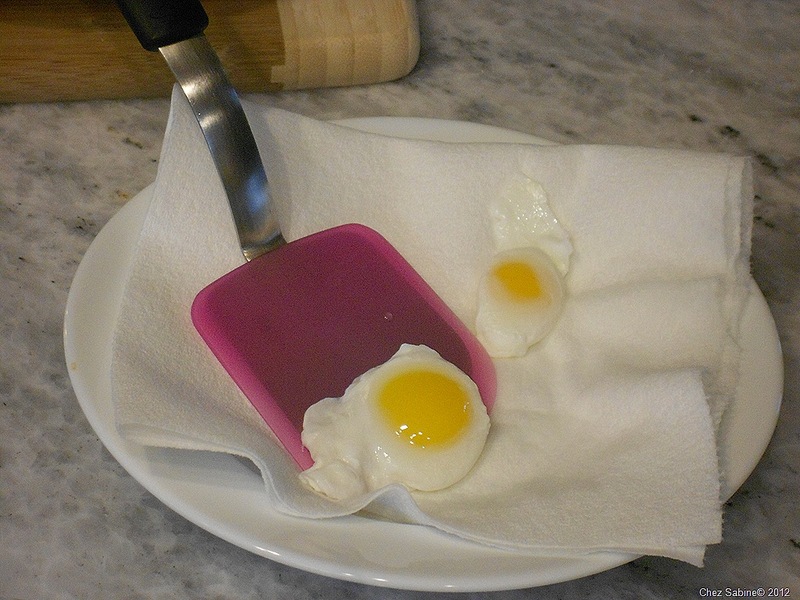 Remove the eggs and place them on paper towels to drain. 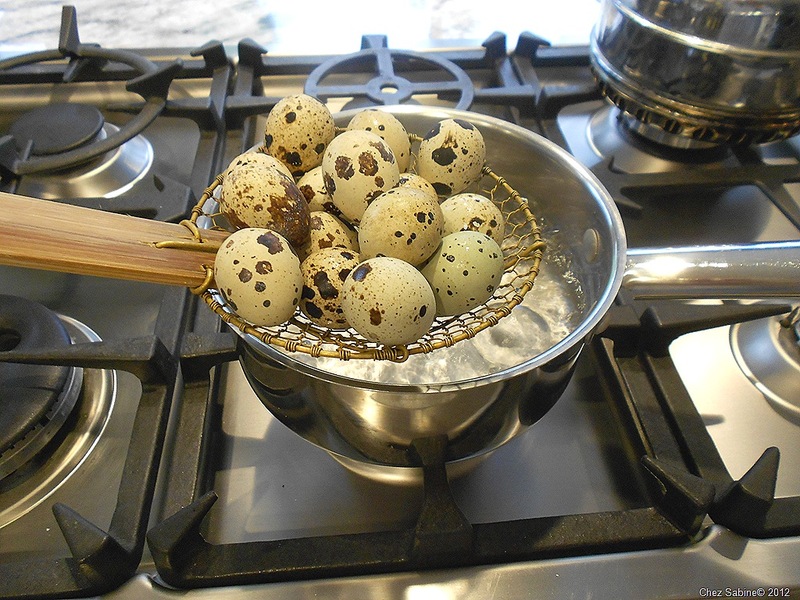 Now the poached quail eggs are ready to be used any way you choose. I think they’re perfect on a salad for a light lunch. 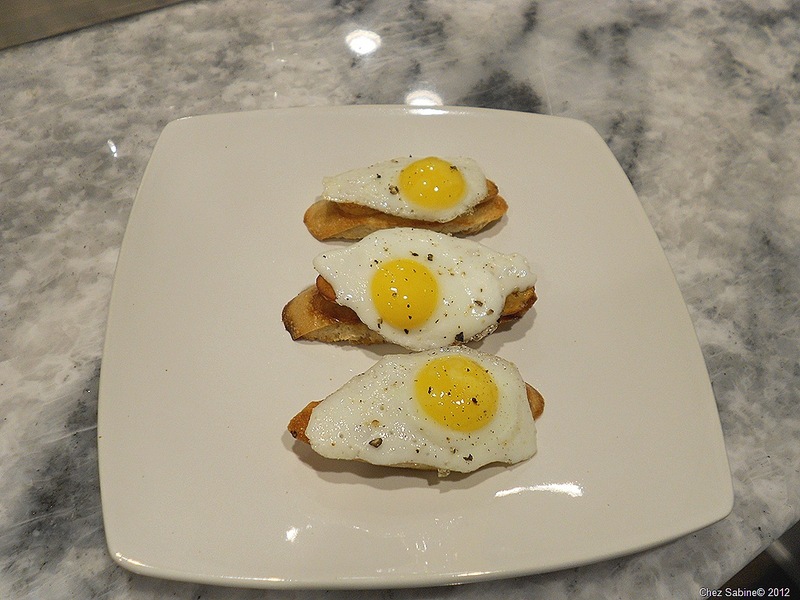 Frying quail eggs super easy and so is this crostini. 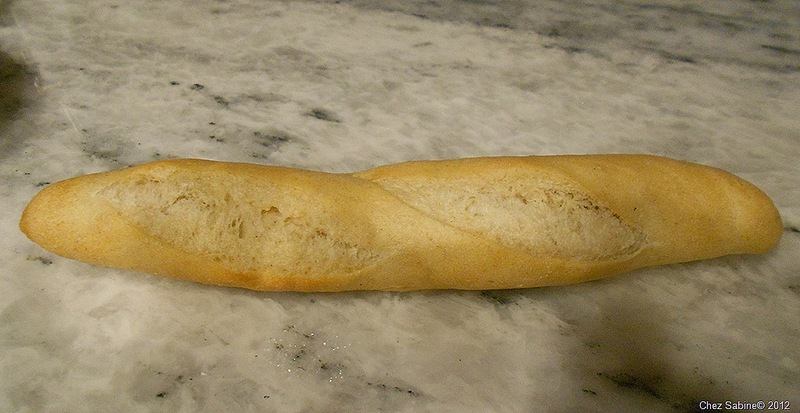 I found mini baguettes at Trader Joe’s and sliced them on a diagonal. 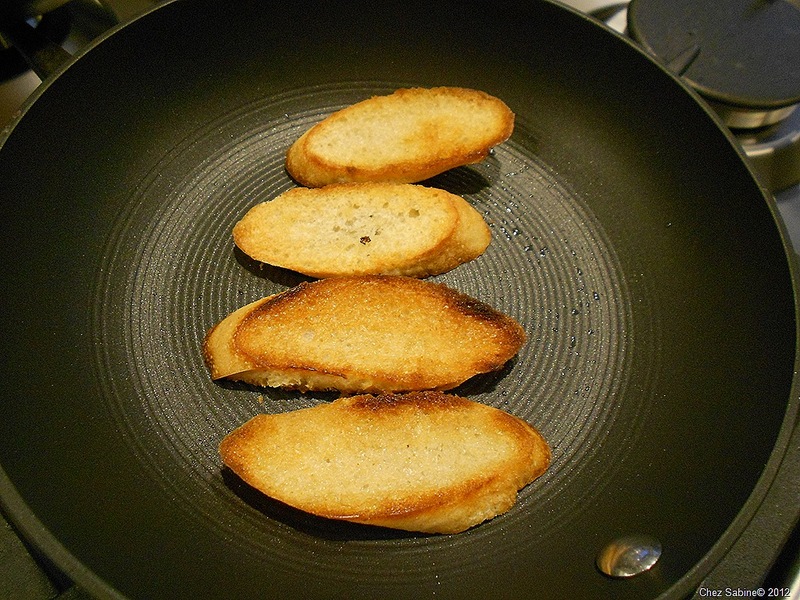 You can brown the bread in a little butter or olive oil. Just make sure they’re nice and crispy. 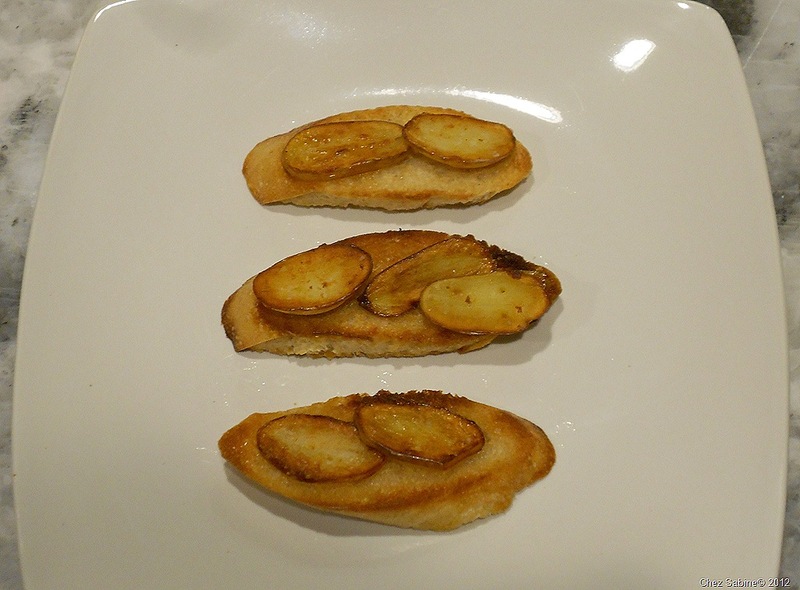 Remove the bread and set it aside, add a bit more butter or oil to the pan and then add sliced fingerling potatoes. I like to steam mine first, so all I have to do is brown them. 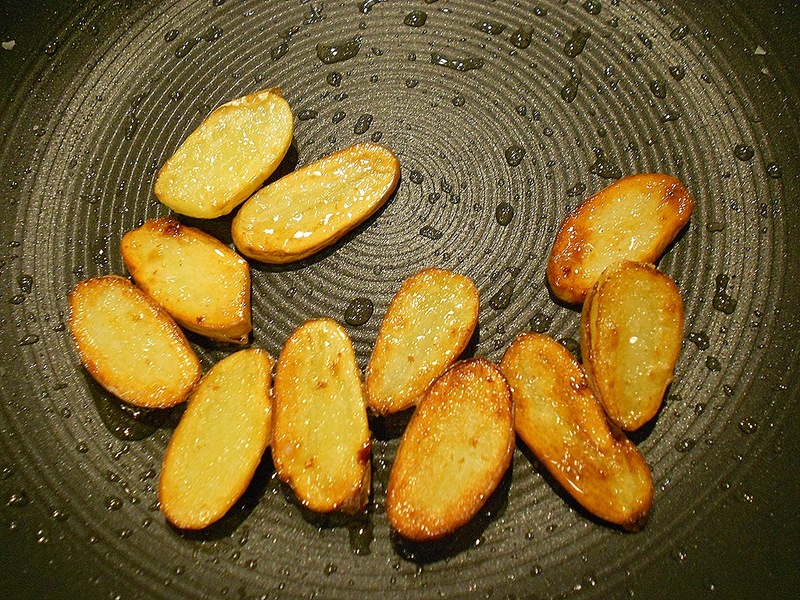 Sprinkle a little kosher salt on the potatoes. When they’re done, remove them from the pan and set the potatoes aside. 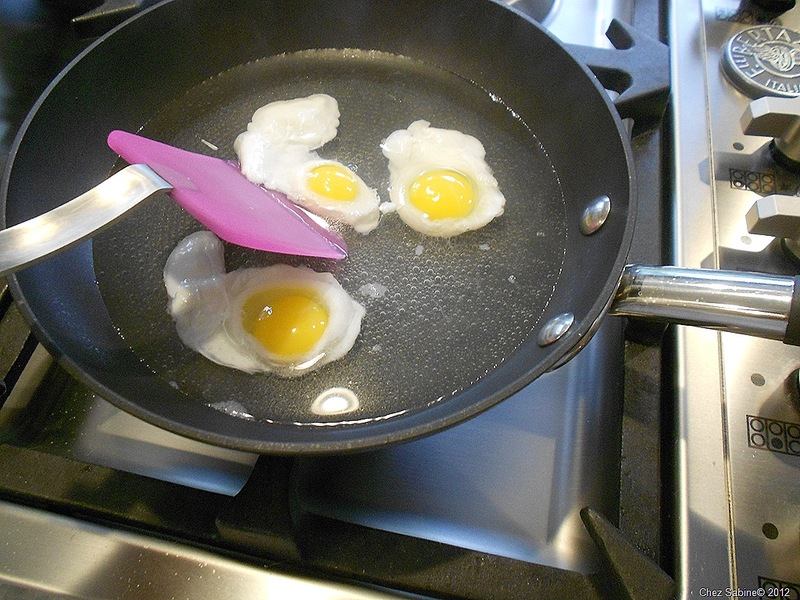 You can fry the quail eggs in the same small skillet. 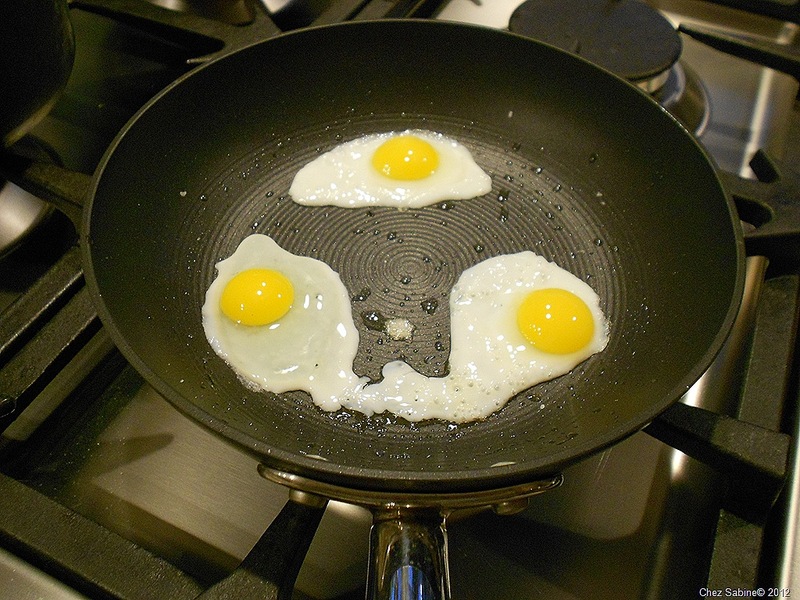 Cook the eggs over medium heat until they’re done as you like them. They’ll cook in about a minute for a runny yolk. Add a little salt and pepper to the eggs. Now, you’re ready to build the most fantastic brunch crostini. I suggest a nice mimosa with these. It’s the weekend. Make it two. Of each. For the bacon, I just microwaved a couple of slices and diced them. I didn’t want to layer pieces of bacon because the crostini would then be too difficult to eat. The bacon flavor come across just fine when it’s used as a garnish sprinkled on top. I don’t even like breakfast or brunch much, but you can sign me up for these little quail egg bites. 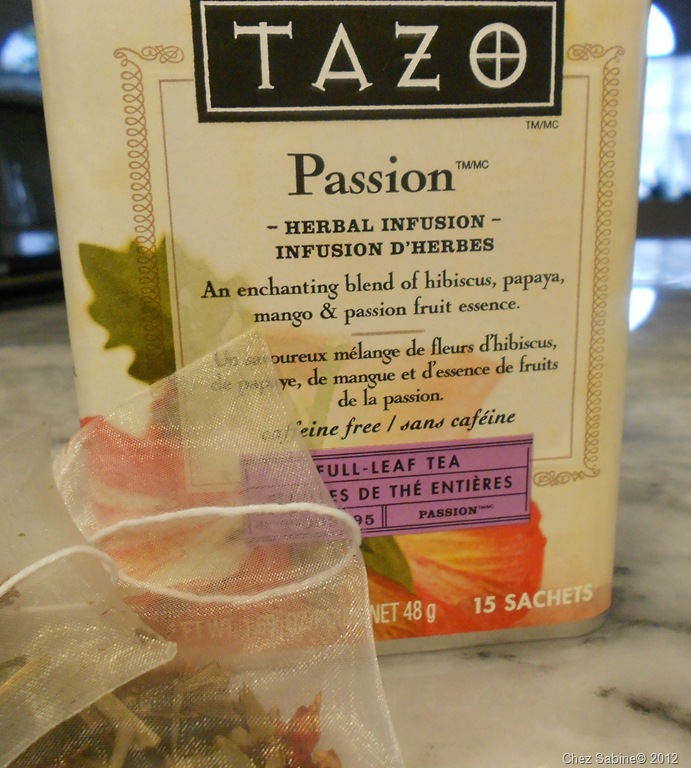 You can use other teas, but I’ve been hooked on the tart, bright flavors of Passion tea, which includes hibiscus, mango and papaya. Plus, the scarlet color of the tea is just gorgeous. 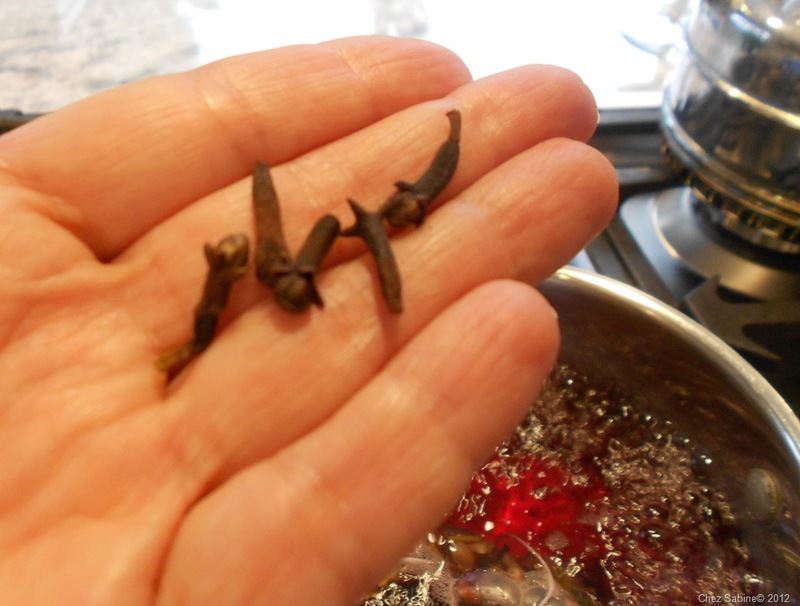 Since I wanted to use these as drink garnishes, I didn’t want assertive flavors, so I simply added some whole cloves and about a teaspoon of honey to the tea. Take a look. Fill a sauce pan with about 2 cups of water. 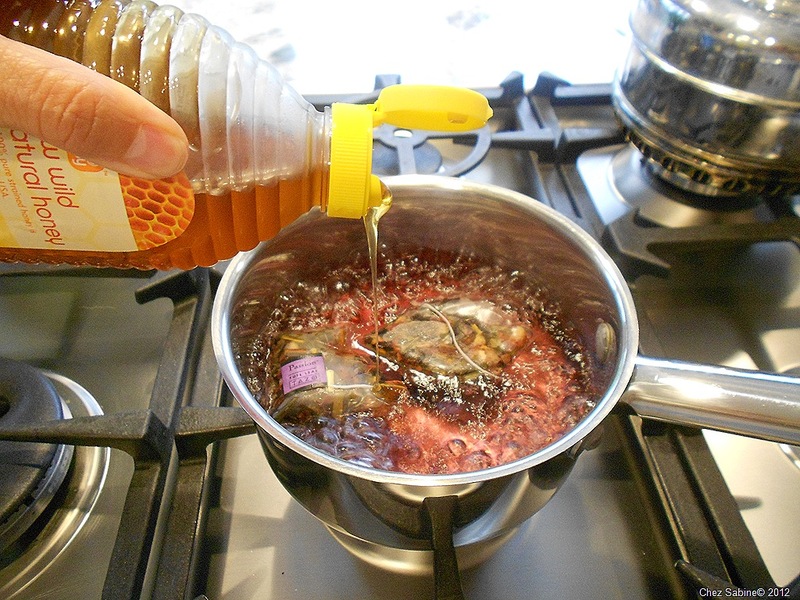 Add about four tea bags, a little honey and some whole cloves. Let it come to a boil. 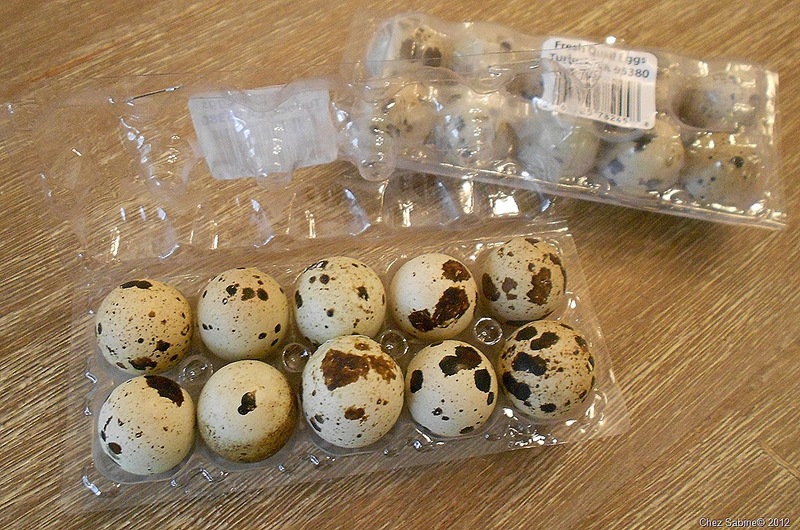 You’re going to add quail eggs to the tea mixture that have already been hard boiled, but not peeled. However, you want to roll the eggs around so that you crack the shells. Make sure you crack them well so that the tea can penetrate the shells. Put the eggs in the tea, lower the heat to simmer, then cover and let them cook for about 30 minutes. Then turn off the heat and let the eggs steep for about two hours. When you remove them, there’s no need to put them in a water bath. Just peel them when they’re cool. This is what they look like when they come out of the tea mixture. They’re so unusual that I almost don’t want to peel them. But, they’re just as amazing sans shell. And they’re easy to peel because the eggs shrink a bit. For some reason, they end up looking squatty and remind me of chocolate truffles. 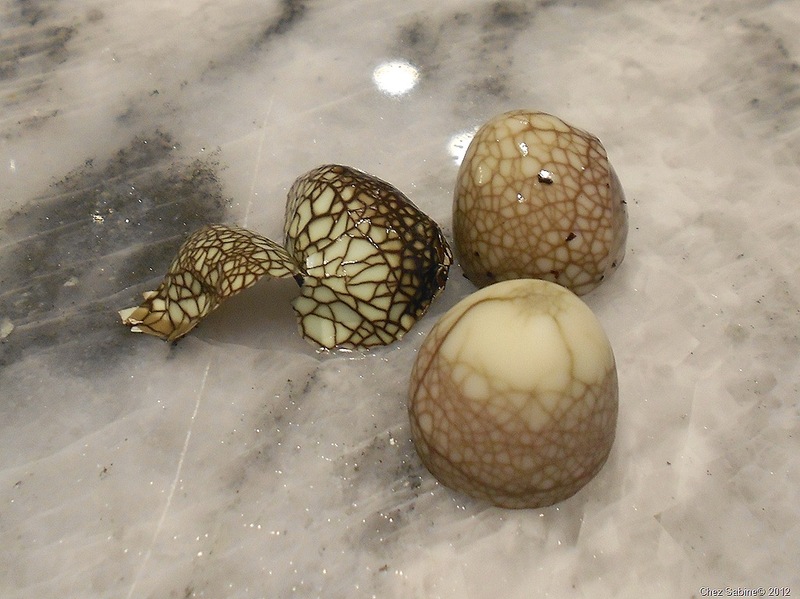 The tea eggs all come out with different patterns, and the shell on the left is turned inside out. Does it remind you a little of Tiffany glass or is it just me? I’m sure I’ll be indulging in some mini quail eggs this weekend. And you? What will you make with them? This is all amazing! Wish we were there to sample. Don’t know if I’ll find quail eggs but will try the avocado deviled eggs for sure. You are amazing! Thank you, Laura. 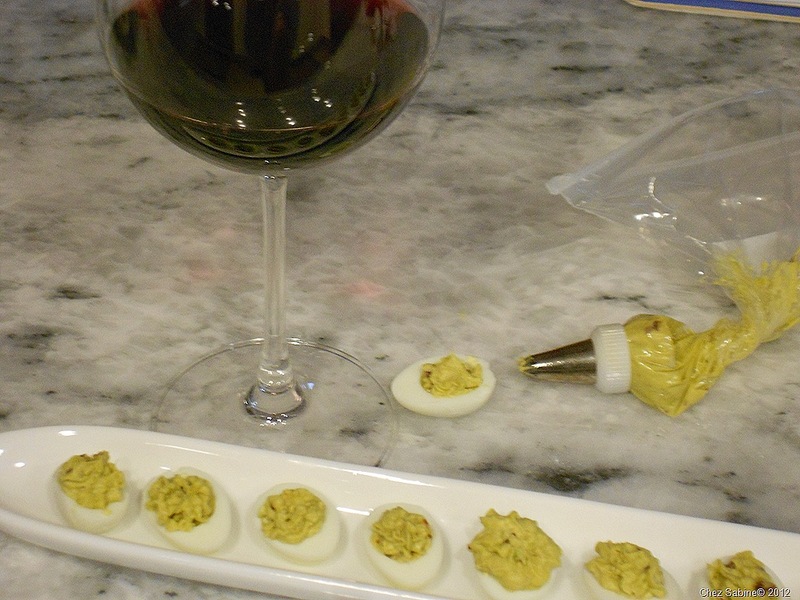 I think you’ll like the deviled eggs. 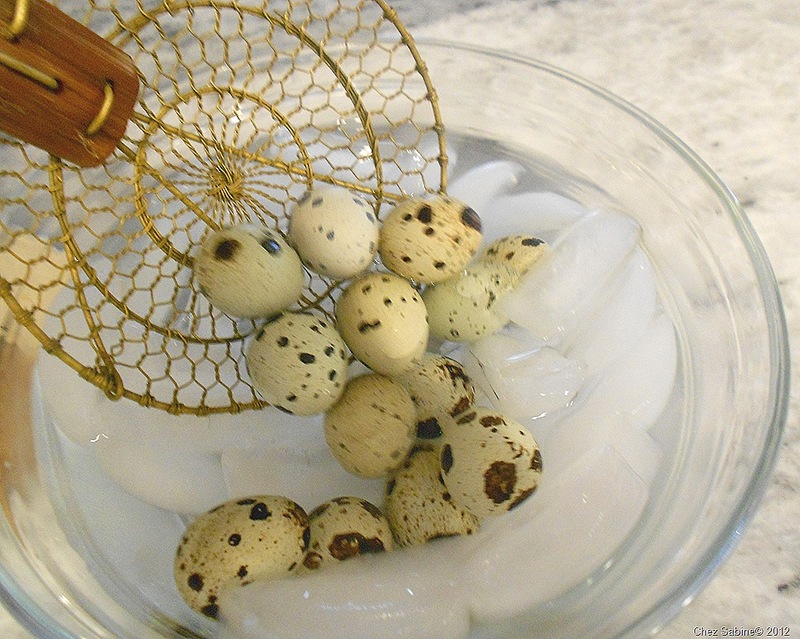 I hope you find the quail eggs and give them a try. They’re just too adorable.